There are few things worse than getting into a long print job only to find that the cartridge runs out before the job is finished. 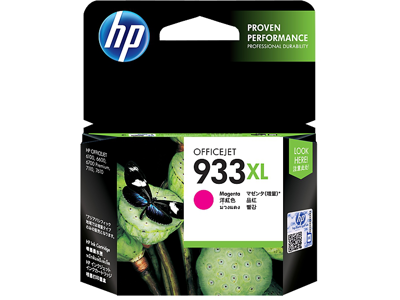 The genuine HP 933XL (CN055AA) Magenta Ink Cartridge long life cartridge reduces the risk with far more ink at a far lower cost per page. Order your Magenta Ink Cartridges now from CartridgesDirect for prompt delivery. CartridgesDirect – we work harder to make your printing easier. Good products at a good price, promptly delivered. Very prompt delivery, delighted with service. This is the second time I have purchased cartridges from CD and will be returning when I need to replace cartridges for our printer. Happy to recommend to others. Easy ordering, quick delivery. Only problem was ordering online so you dont have to go to the shops, then having to go to the shops to pick it up from the post office! Please just leave package at the door.